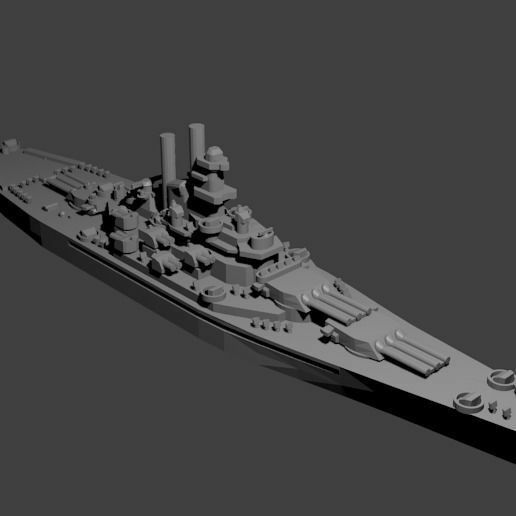 1/1800th scale Brooklyn Class Cruiser model. Certain elements not to scale. The Brooklyn class was a group of seven ships that served in the US Navy during WWII. The Brooklyn class was heavily influential in American cruiser design. They carried fifteen six-inch guns and eight five-inch guns along with antiaircraft armament. Several were transferred to South American navies, with one being lost by the Argentine navy during the Falkland war.